A prognosticator is basically someone who can see the future -- or thinks he can. When I worked as Associate Editor for LottoWorld, a national lottery magazine based in Naples, FL., I met a lot of prognosticators who worked for our magazine. They lived in various parts of the country and used various methods including computers to keep track of hot and cold numbers for state lotteries, Power Ball and other legal drawings. My main responsibility was to interview major lotto and lottery winners. One of my interviewees was a college student from Utah who won $80 million and who guested on the David Letterman Show. Another interview involved two brothers who were construction workers and who shared a $12 million jackpot. Barry Miller was the magazine's managing editor. He was from Chicago and he had owned a small steel production plant before joining LottoWorld. Our publisher built custom homes in Naples, Marco Island, Bonita Springs and other beachfront communities along Florida's West Coast. For three years until we the magazine went bankrupt, we had fun creating stories about lotteries and lottery people. Barry and his brother, Eugene, loved to gamble on the side. Their specialty was greyhound dog racing, although they also bet on thoroughbred race horses and even Jai Alai in Hollywood and Ft. Lauderdale. I often went with them for an evening of beer, betting and a steak dinner or prime rib in the club house. Barry was a brilliant editor who knew what to give our readers. He didn't look at the lottery as gambling and called it more of a social game since nearly everybody played it. Our prognosticators -- people like Boston Blackie, Violet Wee of Hong Kong and The Pink Lady who lived on a yacht -- took their jobs seriously. In each issue, we would publish the 'hot' numbers that the prognosticators felt were due to hit. We would also warn our subscribers and readers to avoid the cold numbers. While I cannot say that any of our staff members ever came up with all the winning numbers for a mega-million jackpot, I can say that Boston Blackie hit five out of six numbers several times. Blackie also claimed he was ahead in his lottery winnings, something we could neither verify nor deny. I interviewed Julia Roberts and Tiny Tim on their favorite numbers and how they picked them. Tiny Time, who gained fame by playing a mandolin and singing 'Tiptoe Through the Tulips' in a high falsetto, said he used the apartment or house numbers of his friends -- people like Elizabeth Taylor or Suzanne Sommers. The magazine seemed to be popular with readers and our circulation quickly soared to 100,000. If Madison Avenue with its national advertisers would have climbed aboard, our publisher could have become a billionaire instead of a mere multi-millionaire. How do people pick out winning Power Ball or Lotto numbers? I wish I knew. I interviewed a medical doctor who operated a small health clinic that served the poor in Baltimore, MD. He was a native of Haiti. One night he had a disturbing dream about humanity, winning the lotto and using the winnings to help the poor people of Haiti. 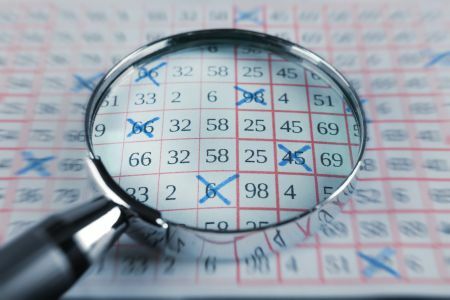 That night, his numbers were drawn and he found himself $10 million richer. He took his money with him to his home town in Haiti where he donated money to needy students and helped repair the tower at the local airport. Today his lottery winnings are long gone, but he still uses money from his medical practice to help his Haitian friends. After LottoWorld ceased publication, I left Naples and moved to St. Kitts where I assumed editorship of a weekly newspaper. Barry began writing a lottery column for the New York Daily News. The column became popular and was doing very well when Barry was stricken with a massive heart attack and died. He was a good editor and a good friend. I miss him. I don't know if Boston Blackie ever hit the Power Ball. I hope he did. It would be nice to visit him on that yacht he wanted to buy and sail to the South Pacific. What a completely bizarre article. Even though I would love to learn how to choose numbers effectively, I was left wondering whether Tiny Tim ever really did win the lottery. I have heard of Boston Blackie, from an old (ex?) friend's Facebook. There's a song..."A friend to those that have no friends". Right or wrong....that's the way I see it, and no one is likely to talk me out of it, unless I meet the writer myself and am convinced of his candidness (a type of honesty) through that meeting.